Module 1 provides an overview of the key concepts of the Vortex Approach. It consists entirely of online components and is designed to be completed by clincians in a self directed manner prior to undertaking any of the face-to-face interactive sessions of the later modules. Watch: the 10 min video opposite that provides an overview of the Vortex Approach. Watch: the 10 min video opposite that discusses the concept of a 'Best Effort' at lifelines and how the Vortex Approach facilitates achieving this. Watch: the 10 min video opposite that discusses the concept of Transition to CICO Rescue and how the Vortex Approach facilitates this. Reflect: take the quiz below to clarify and reinforce your understanding of transition. Watch: this 10 min video that discusses the concept of the Green Zone and it's importance. This is an interactive face-to-face module that will be run in a group setting by the educators delivering the Inspire program to your team. 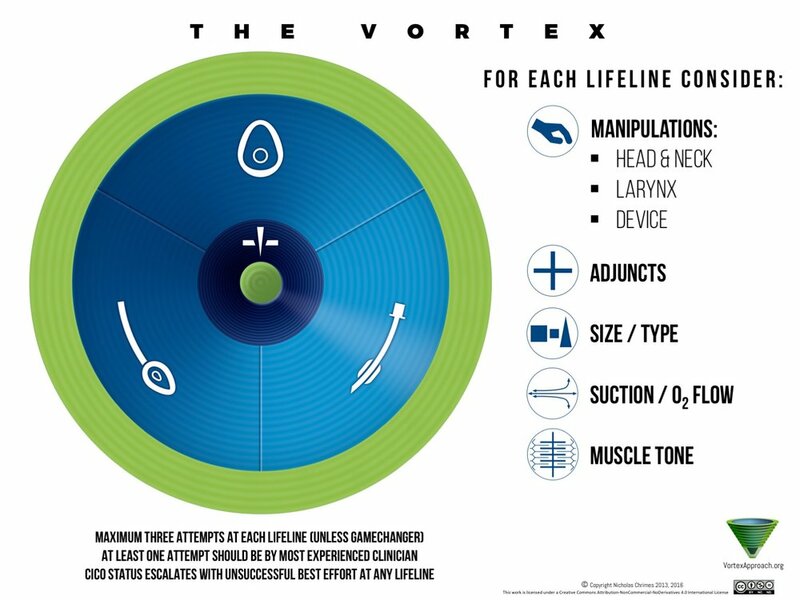 Watch: the 5 min video opposite that demonstrates the principles of the Vortex Approach being implemented in a simulated clinical setting. This is an interactive face-to-face session that will be run in a group setting by the educators delivering the Inspire program to your team.